There's a new OnePlus 6T flagship in town, one uniquely similar and all the while, different from its predecessor. A new and bigger AMOLED panel, with a smaller notch and cutting-edge in-display fingerprint reader, plus a bigger battery pretty much define the upgrade over the OnePlus 6. 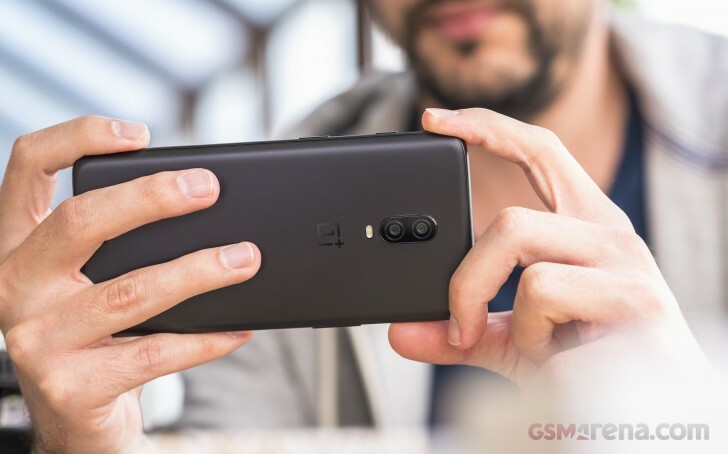 However, the OnePlus 6T also marks the official removal of the headphone jack - surely, a downgrade and sad occasion for many long-term fans. Battery: 3,700mAh Li-Po (sealed); Fast Charge (formerly Dash Charge) proprietary fast charging (5V/4A). OnePlus's success is one of the textbook examples of viral online marketing in the smartphone industry. The Chinese manufacturer has built its reputation as an enthusiasts brand up from total obscurity relying on cutthroat pricing, lofty slogans and a loyal, tight-knit community. So when you've spent the last few years cultivating a dedicated fan base by insisting that their opinions, wishes, and preferences come first, a certain backlash is to be expected when you go ahead and remove a feature they've explicitly voted as a must-have - the audio jack. A hip, fan-friendly public image is great to have and OnePlus managed to craft one for itself truly masterfully. However, when it actually comes time to mass-produce handsets, the manufacturing realities ruling the parent company BBK Electronics Corporation impose a whole other set of necessities. In this regard, OnePlus, Vivo, Oppo, and even the young Realme are all subject to pretty much the same limitations and constraints that the whole industry abides by. And OnePlus is no longer positioned as the market disruptor it used to be so we can't realistically expect more. So love it or hate it, the OnePlus 6T design and hardware are a product of the market realities and trends in 2018. It's no longer the brand you turn to for a breath of fresh air and just on the opposite, you get what everyone else is serving. Luckily, a smartphone is a lot more than the sum of its hardware parts and external shell. The product experience exists on an independent plane of its own. Whether it is software, support or customer service, OnePlus has always put its own twist on things and usually, it's always been to the benefit of the consumer. The OnePlus 6T is no different and there is plenty to love about the experience it provides. Let's have a look inside the box first. That experience starts with the package and accessories. In a way, the brand itself has added value. Few companies have managed to craft such an appealing signature image as OnePlus. Everything from the "Never Settle" slogan and mission statement it conveys to the recognizable logo design and materials, and the exclusive materials such as sandstone or wood have remained part of the package the consumer is getting. 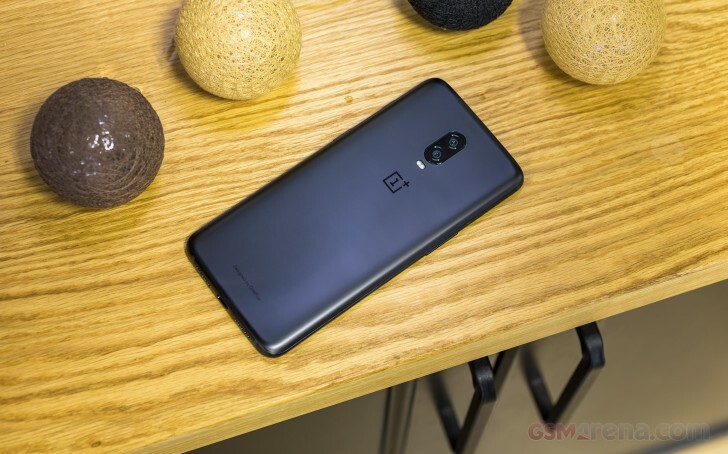 What's more, you can accessorize the OnePlus 6T heavily to the point it even matches your attire on different occasions and OnePlus would love it if you consider them a lifestyle brand for the fashion-conscious. This approach and the attention to detail have served them well. 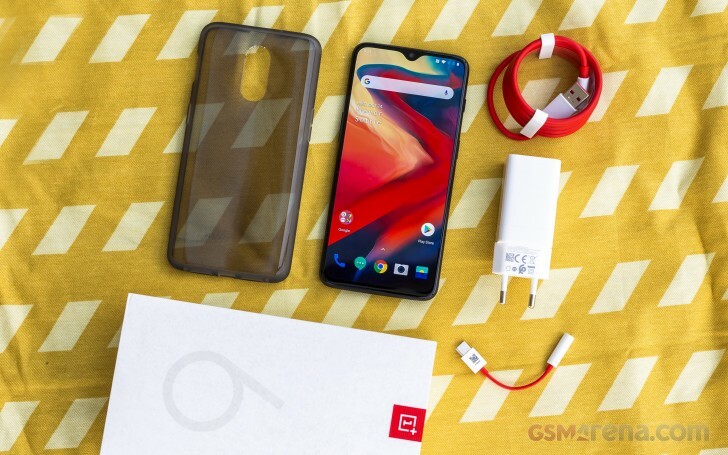 The retail package of our OnePlus 6T review unit is nothing short of a perfect embodiment of the company's long-standing PR image efforts. It includes things like inspirational quotes and a letter from the CEO. All of them making it abundantly clear that you - the OnePlus community is at the core of the company itself. Musings aside, the two-piece box itself feels very premium. It's one of the nicest we've seen lately, without actually being too flashy. It is coated with a rubberized soft coating and comes with multiple boxes and trays on the inside, including a thick plastic bed for the phone. Shipping damage should be a non-issue. Plus, every bit and piece inside the box feels really good to the touch. The various leaflets and manuals even carry the signature red color. OnePlus clearly went all out on packaging, but we have to wonder if that money could have been better spent on accessories. There are no headphones in the box, although, there is, at least a little Type-C to 3.5mm adapter included. On the other hand, we can't really complain too much, since our box came with a thick clear rubber case. Another level of protection you get, out of the box is a precision-cut, pre-applied screen protector. It's not glass, but still looks and feels pretty good. For charging, you get a familiar 20W wall charger in the box, now branded simply Fast Charge as opposed to the Dash moniker of old. There's also a red USB Type-A to Type-C cable, which is definitely not standard due to the extra pins the charging tech requires, so hold on to it. Otherwise, you'd be stuck with slower charging speeds. Speaking of which, while 20W is definitely snappy, it is nowhere near the whopping 50W, as found on Oppo's Find X Lamborghini Edition. We know many fans were hoping to see this blazing fast charging make its way to the OnePlus line. But OnePlus is obviously trying their best to keep costs down. So, perhaps, next year. So let's have a look at the phone itself now. Follow us on the next page. Hi Thank you for learning but disappointed Which I use to experiment There is no permission or request to wear different versions.